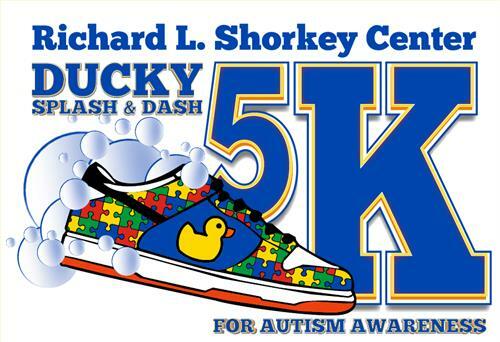 The Shorkey Center is hosting its annual Ducky Dash 5K Bubble Fun Run. It will be held on April 13, 2019, at the Gulf Terrace Hike & Bike Trail in Beaumont, Texas. This event combines all the festivities of a regular 5K, including colored foam, food, music and games! Each mile will be marked with a water/cool down station for all runners, and each participant is encouraged to dress up in comfortable active wear (please be prepared to be soaked by our colored foam machine). All registrants who are registered before March 30, 2019 will receive a free 5K Autism Awareness T-Shirt and a gift bag. There will be Autism awareness merchandise for purchase the day of the event. We will also have raffle tickets with door prizes to give away! All registrants will be entered to win door prizes (must be present to win). This race is not timed! Share your registration on Facebook and receive a $1 discount.